While it is a common observation that staying fit becomes tougher and tougher as we age, a new study also proves that our fitness level declines drastically with age. Even though this was expected, the study has also uncovered a lesser known fact, that our fitness levels start declining not just when we reach middle age, rather our overall fitness levels start declining right after the 20s. Regular exercises for better fitness. While this is pretty depressing for all of us , the good news to come out of this research is that regular exercise and a healthy lifestyle can make a positive difference to how fit you will be when you grow old. 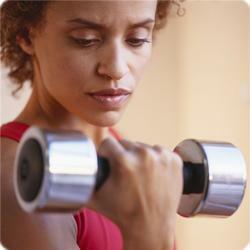 By staying fit and exercising regularly, we can make our body stay fitter and be younger than it actually is. It has also been found that overall fitness level and maximum exercise capacity decrease at a very high rate once people reach the age of 70. Decrease in fitness levels has been found to be more than 20% per decade in people over 70 while the same varies between 3% to 6% in someone in the 20s and 30s. This decline in overall fitness level shows itself in the loss of stamina to do any physical work as we age, and in the form of problems in performing simple tasks like walking up the stairs or standing in a queue. Maximum exercise capacity. While it has been found that maximum exercise capacity decreases as we age, a large amount of this decrease in fitness level has been accounted for by decrease in muscle mass and physical activity as we grow older. As a result, individuals whose decline in aerobic activity and muscle mass had been lesser, maintained better fitness levels than their peers who were not equally physically active. Since a large portion of the population today also gets afflicted by cardiovascular ailments, heart disease and diabetes, which further take a toll on overall health and fitness levels, the information from this study can only be taken as an indication of what would happen to our fitness levels if we stayed totally healthy as we aged. In the current scenario, this is generally not possible, and as a result, the decline in physical fitness levels, muscle mass and aerobic capacity is going to be much higher than reported by the study. The only way to live a fitter and a healthier life even as you age is to incorporate exercise in the form of aerobics or cardio and strength and flexibility training. This will not only ward off or delay many lifestyle related ailments, but will also make for improved fitness levels and a good quality of life even in old age. Non impact cardiovascular exercises like swimming, cycling, skating or roller blading and strength exercises combined with flexibility workouts like yoga, tai chi and stretching need to be incorporated into your daily workout no matter what your age. This will keep you looking and feeling much younger than you really are!